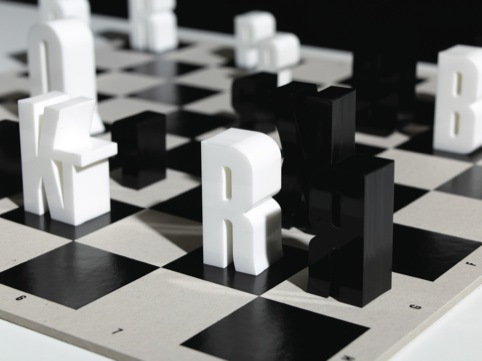 Type(chess)set is a typographic chess set based on chess notation, with K for king, Q for Queen etc. The forms are based on typeface Champion (Lightweight) by Hoefler Frere Jones and all pieces were cut in 25mm acrylic, with Kings standing at 50mm tall, down to Pawns at 30mm. Hat-Trick also created a series of postcards, showing how each piece moves. 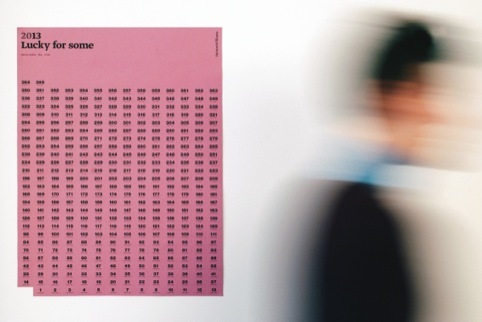 The calendar is inspired by the idea of luck in 2013, with 365 raffle-style tickets to tear off, one for each day. 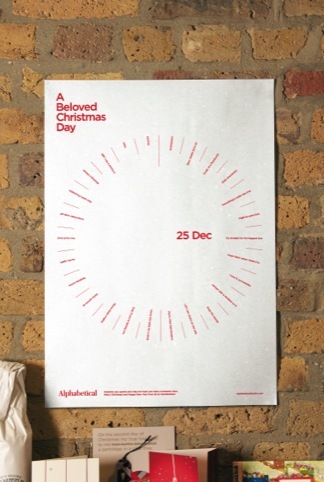 A limited run of 365, fully perforated B2 calendars was printed. They were initially made available to the consultancy’s subscriber list and later publically on the Mytton Williams website. Setting itself the task of creating ‘a distinctly Alphabetical Christmas card’, the consultancy decided to celebrated the Yuletide rules and rituals, without which 25 December just wouldn’t be the same. 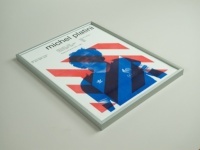 The resulting limited-edition poster was sent out to Alphabetical’s friends and family. 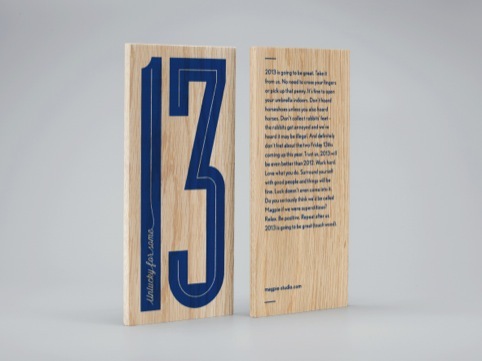 Working with copywriter Nick Asbury, Magpie Studio developed a mailer that took the number 13’s connotations of bad lick and flipped them on their head. The consultancy created a piece of text that reassured the recipient that 2013 is going to be a great year, while the format gives them the chance to ‘touch wood’ just in case. 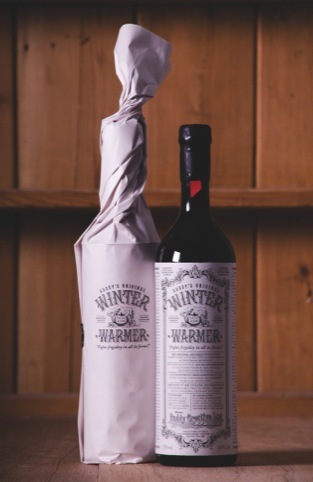 For Christmas 2012, Buddy sent out bottles of Buddy’s Original Winter Warmer – mulled wine. The consultancy developed a label based on Victorian designs and language. Buddy’s Winter Warmer is guaranteed to protect against such seasonal maladies as Tinselitis and Turkey Pox, as well as nervous disorders such as Gravy Anxiety and Santaclaustrophobia. Throughout December, fallen pine needles were inventively recycled and featured as the focal point in a piece of ‘pine art’. 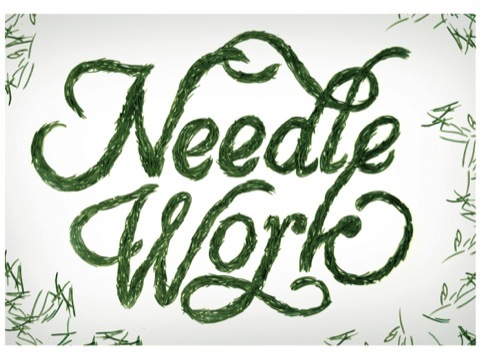 Each day in the lead-up to Christmas more needles were added to the work and documented on the Purpose website. 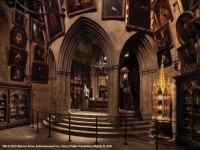 Once complete, the Needle Work was showcased in an online movie. Against the backdrop of an economy still struggling to recover, Distil Studio says it designed its Christmas gift for clients and friends to be a little easier to swallow. Instead of sending out a large-scale bottle of wine or port, the consultancy set out a series of miniature bottles – the Austerity Measure. 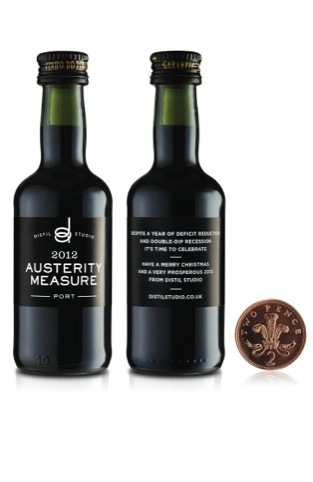 The bottles were sent out in the week that Chancellor George Osborne gave his Autumn Statement.